Everybody loves a good lasagna, and now you can make it infused with medical marijuana. Unlike many cannabis recipes that use the cannabis oil or butter, the Vegetable Weed Lasagna actually uses the ground trim. However, it tastes just as good as any other cannabis recipe. Enjoy! Put the following ingredients in a large bowl and mix them until they are properly combined: the egg, the minced garlic, the Ricotta, half the grated Parmesan cheese, and the spinach. In the bottom of a 13 x 9 glass baking dish, thinly spread some of the tomato sauce, approximately ¾ cup. Start constructing the lasagna by placing three of the oven-ready lasagna noodles on top of the tomato sauce. Go ahead and add another ¾ cup of the tomato sauce on top of the second layer of lasagna noodles. After which you are going to add approximately one cup of the cheese mixture (see step 2), then add the mozzarella on top of the cheese mixture. Do another two layers using the following order: lasagna noodles, tomato sauce, cheese mixture, and finish with mozzarella. Use the remaining Parmesan to sprinkle on top of the last layer. Cover the baking dish with aluminum foil and place it in the oven. Bake the lasagna for about 40 minutes. Take off the aluminum foil and bake for another 20 minutes or until the top layer has browned. 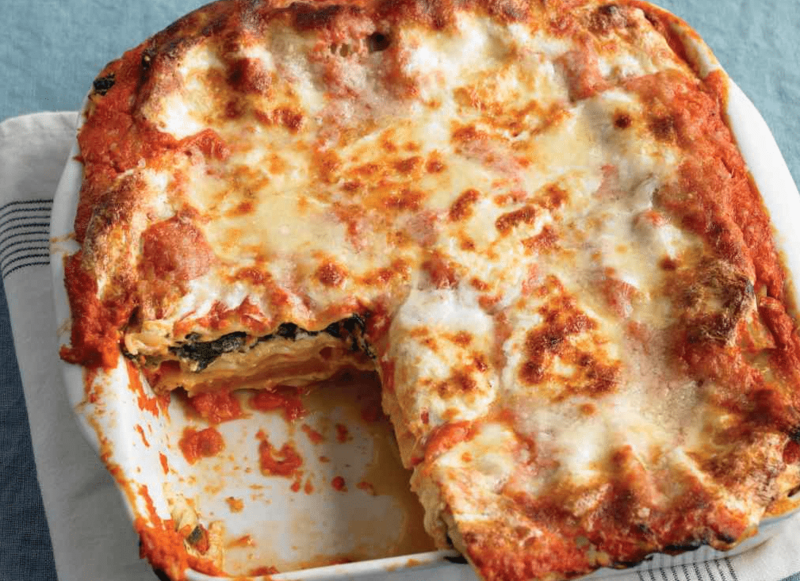 Remove the Vegetable Weed Lasagna from the oven and allow to cool before cutting.